Our merry band (small though it is) has been pretty much maxed out coping with demand (US Sales are up 600% this year ) so just touching base with you guys. The Sentinel production is about to go ballistic... We have engaged a company that currently make Manfrotto and Gitzo tripods to help assemble the legs for us. These are all hand made and it takes us about 2-3 hours per tripod to assemble so the quantities we've had ordered cause delivery backlogs. Hopefully that is something of the past! Come the trade show season starting at the beginning of January we should have plenty of stock for the shows. If you've not seen the Sentinel it is a redesign of the Kapita following some issues we had with the leg locks rotating out of the top of the tubes. We took the opportunity to completely redesign the tripod with new, much more positive and quicker to action twist locks, a redesigned top to the leg and all new carbon from a company that makes the carbon control rods for Airbus. We are planning on destruction testing one shortly and will be very interested to see what it will take before it lets go... Anyway we have had great feedback on it. It still uses the same adapter as the Javelin and locks the rifle up very nicely. We have a very high quality tent in design prototype to use with the tripod which weighs next to nothing (Roughly 700g for a Kerlon type fabric and the Dyneema one we produced came in at 424g!!). We also have a flat plate adapter which replaces the Spartan ball attachment and allows you to put a standard ball head or camera adapter onto the top of the tripod. We've got some interesting ideas for improving the Javelin so watch this space for those! We have replaced the thumb nut with a new low profile locking lever as standard. The bigger plastic one is easier for cold climates if you are using gloves so we will continue to retail that as an option. Those of you who bought Javelins in the group buy I ran a while back.... How are you finding them? Any feedback good or bad is greatly appreciated and we have already incorporated customer feedback into aspects of the design so it does get listened to. 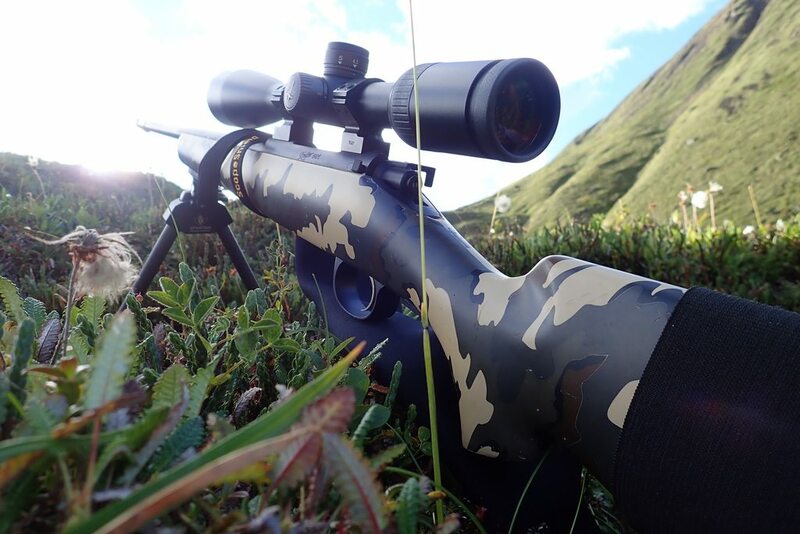 You guys are making some quality products that really fill a gap in the mountain hunting market. I picked up your bipod in the group buy you did for Rokslide a while back (still need to get that leg extension kit) and I've enjoyed using it. Everyone who sees it for the 1st time comments on it as well. I do have one qurstion for you. I have been using the guide adaptor (swivel stud attachment) but now that I am confident in this bipod I want to go ahead with the permanent installation of the gunsmith adaptor to the synthetic stock of my CA Ridgeline. Do you guys have any detailed instructions and/or videos for proper installation of the gunsmith adaptor into a gun stock? I feel like this is something that I can do on my own, but as I only have one shot to get it right I'd like to see the process completely laid out from start to finish from someone with experience. Or, if I decide to bring it to a gunsmith, I would still like to be able to point them towards some written instructions as many in my area are not yet familiar with your products (yet). Happy with my javelin. Installed the gunsmith adapter and I really have no POI impact shift with or without the bipod. Here it is in action. 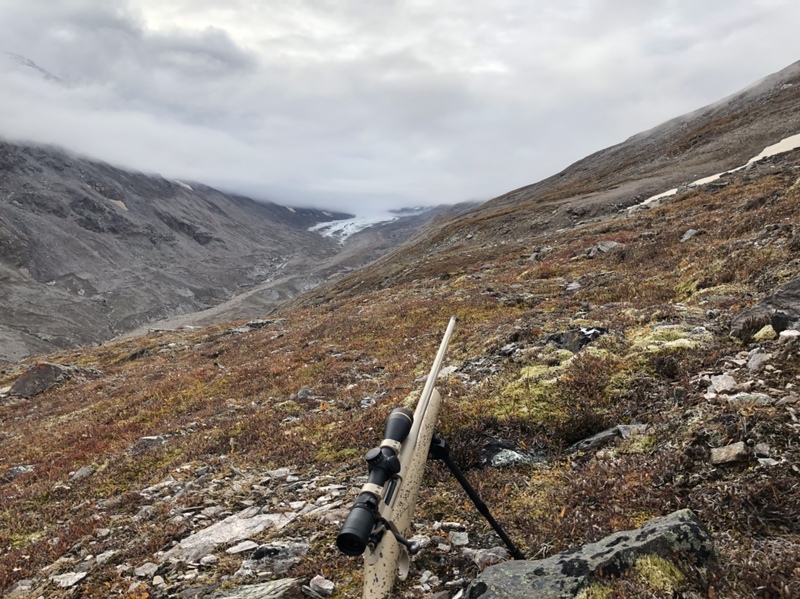 Literally moments after taking a Dall sheep this fall. I have not hunted with mine yet but had it out zeroing my rifle that will go bear hunting next week. I’m using the rifle adapter now in place of the sling swivel. I found that the mount turned a bit back and forth with the rubber gasket installed when fully torqued down. I put heavy sandpaper with adhesive backing on the mount and it locked the mount in place well. Been happy with mine. I did have to cut down the screw to get it to work on my rifle but that was easy enough. It's only been to the range so far, but it will be going hunting here in a few weeks. Still up in the air as to how I like it, only thing that I'm worried about is losing it. As far as function goes it's worked awesome so far. Steady and easy enough to adjust. I'm also interested in that tripod. My wife is getting into hunting and she seems to think shooting off a tripod would be easier, might be an excuse to try some new gear. Hopefully I'll have an update in a few weeks that includes a little meat on the ground. I’ve got one- the long version, and just bought a standard version to try bench shooting (the long version is a bit tall for me from a bench). I installed the gunsmith adapter myself on 2 different rifles. Only thing I should have done differently was mounting it in front of and not behind the factory sling swivel stud (so the sling isn’t in the way of the bipod when shooting). Other than that, I’m happy with the weight and stability. I’m hoping it holds up to the recoil of my 300 Win Mag. I also plan to get some long legs so I can use it while sitting. I used a Javelin on my sheep rig this year, nice and solid. I tried to build something similar..
Love the bipod, been using them for 2 seasons now and send a few out on customer builds fairly often as well. One complaint I"ve had and I"ve passed it on before is the difficulty in twisting/untwisting the legs in cold weather with gloves. Some sort of knurled attachment on the bottom of the leg instead of the smooth aluminum collar would do wonders to improve it. Have you thought about adding a telescoping centerpole to the tripod? 90% of the guys on here use their tripods for glass off of, and while getting close to the exact height needed is easy enough on initial setup, fine tuning that last 2-4" is a big deal. I've ran/tested 2 tripods without the telescoping center pole and promptly got rid of them. Adjusting all three legs to achieve a few inch adjustment height adjustment is not going to work for myself, nor I bet a large portion of your potential market here. If we can have a tripod that works equally well for using binos/spotters off of, as well as a rifle platform then it'd be well received I believe. Best of luck, like seeing companies/ppl like yourself succeed. After a ton of research to find the perfect bipod, I jumped on the Spartan bandwagon and haven't looked back. I took advantage of the group buy here and along with the tall Javelin bipod, I got a pair of long legs extensions, several of the gunsmith adapters, a belt pouch, and the Niggeloh sling. The quality of materials and construction put into this gear is evident as soon as you open the package. I was able to put these goods through the paces on a recent elk hunt and I was very satisfied with their performance. The bipod worked well for me with the standard legs in the prone position, and equally well with the long legs in the sitting position. I haven't had time to install the gunsmith adapters yet but I do appreciate the video shared above and I'll get these put on a couple of rifles soon. I want to put them forward of the sling stud like sandhillhunter mentioned but I will have to make sure that there is enough meat in the stock to do so. The Sentinel tripod is very interesting and would really round off my kit of Spartan lightweight gear. I do agree that a telescoping center pole would be a big plus. I'm a fan of ultralight floorless shelters and that tent is a great idea. You guys continue to impress with your innovation and creativity. Keep up the good work! There is one thing that I would like to share that happened to me while carrying the bipod in the Niggeloh sling... I was moving from one point to another on the mountain and lost my bipod out of it's pocket in the sling. I had played around with the magnetic attachment quite a bit and considered it to be pretty secure, but I somehow managed to lose it on the long hike. Just something for everyone else who uses the Niggeloh to be aware of and hopefully avoid my mistake. Thanks for sharing the new stuff with us Jim! Got to shoot a couple mulies off the javelin long this last week. Worked great, no complaints. U saying they are junk? We broke one in less than a week and hardly used it haha. I still cant get my head around why they dont have angle adjustable legs. I hope you have spent time getting your tents right! How and where did it break? Could you enlighten us a bit more? Is this the tripod that Mr G glued and repaired and has just returned to Pace Brothers? He freely admits that he hadn't glued it properly (It was a pre production prototype that went out with the Pace Brothers). If it is that one then it would behove you to tell the whole story rather than just throw in a hand grenade like that one? If it wasn't that tripod then I'm surprised that we haven't heard from you about the lifetime warranty and getting it fixed? I am always the first to say we don't get everything right. That said we try very hard and make our products without compromise putting product before profit. I believe that JP100 is referring to a pre production Sentinel system that we gave out to the Pace Brothers for their trip to NZ. This unit was built by me and one of the twist locks came unglued. Totally my fault. I would appreciate JP100 sharing the full story. Negative one-liners are not helpful or constructive. I am very proud of the fact that Spartan in under 5 years has sold over 35 thousand Bipods and has gained a reputation for making solid products and is being used by some of the biggest names in the hunting industry..
Of course we make mistakes, as any production company will do, but we do try very hard to put thing right when we get it wrong, if given the opportunity.